From simple reflexes to complex motor patterns and learning and memory, all nervous system functions hinge upon the precise synaptic connectivity that is orchestrated during early development. The synaptogenic program does not stop with the cessation of development, rather it continues well into adulthood, forming the basis for synaptic plasticity that underlies learning and memory. 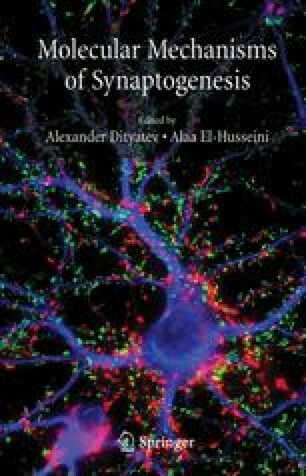 Despite extensive advances in the field of neurodevelopment, the precise cellular and molecular mechanisms of synapse formation between central neurons remain largely unknown, due primarily to the complexity of developing mammalian brain and the rate at which the synaptogenic program proceeds (20,000–30,000synapses/ 10 min). Here we report on the utility of various molluscan models whereby various steps underlying synapse formation can be investigated at the level of individual neurons and synapses. In these models, synaptogenesis can be examined both in vivo during regeneration and following single-cell transplantation, as well as in vitro through a variety of cell culture approaches.